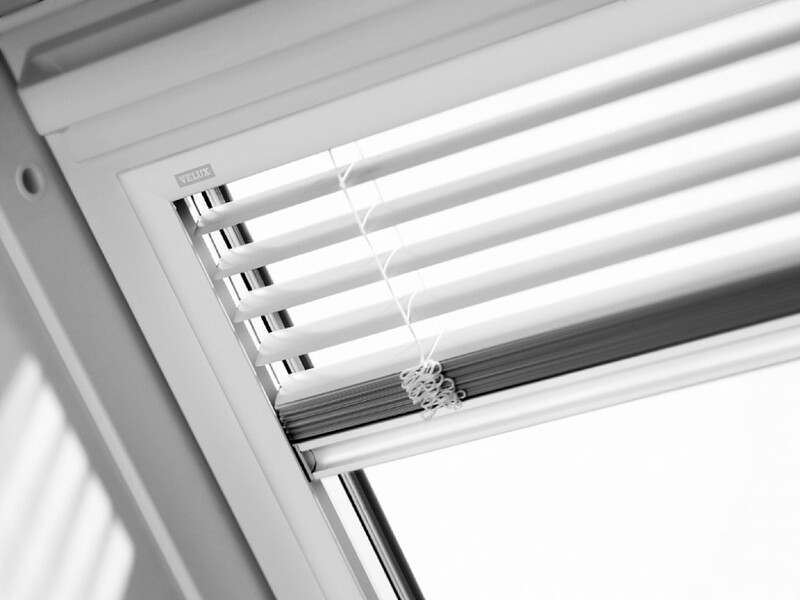 As the blinds are made of aluminium in elegant design with slim side channels it is also very easy to wipe clean and an ideal solution for any room in your home that encounters high levels of humidity, such as kitchens and bathrooms. 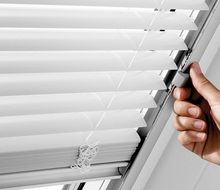 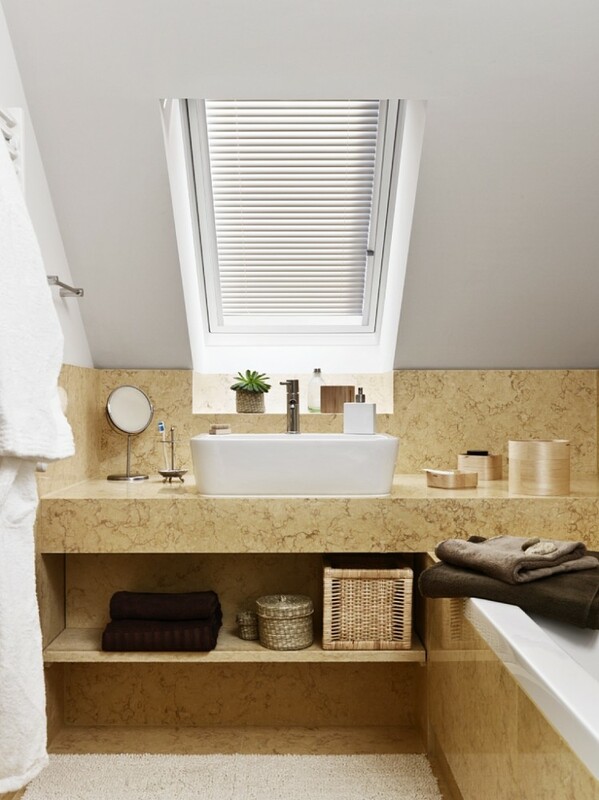 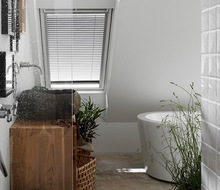 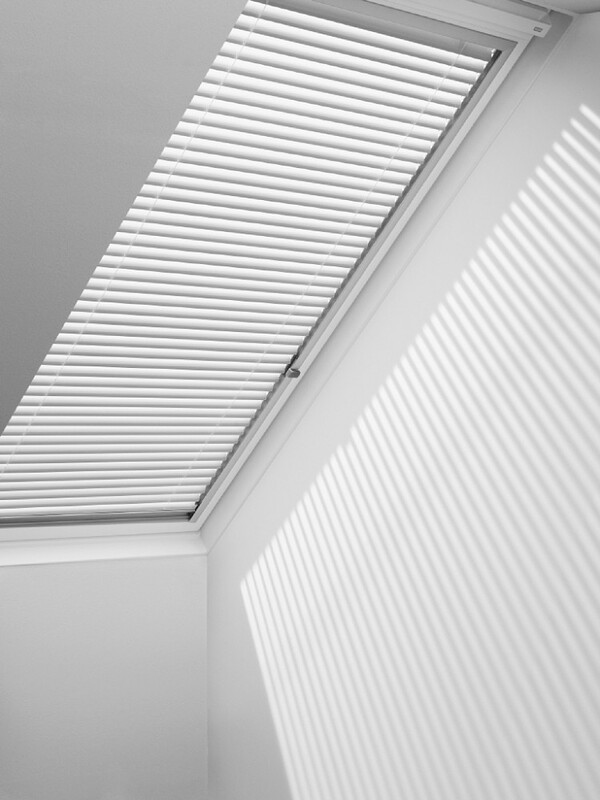 To further protect against the heat, you can also combine the venetian blind with an exterior VELUX awning blind. 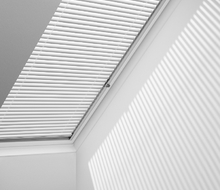 Complete light control control amount and direction of incoming light and shadows. 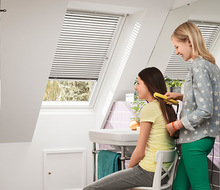 Award-winning design praised for the unique tilt mechanism and cordless operation. 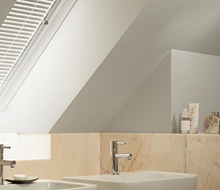 Classic colours choose between 9 classical colours. 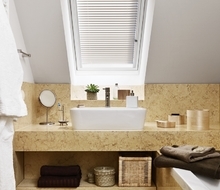 Rooms well suited for bath rooms and kitchens. 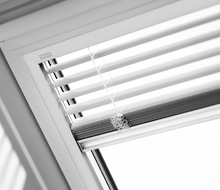 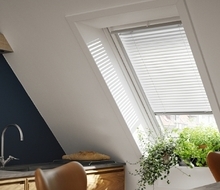 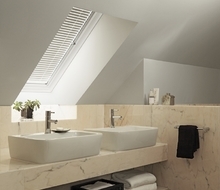 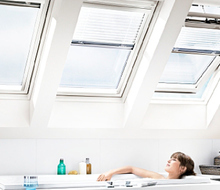 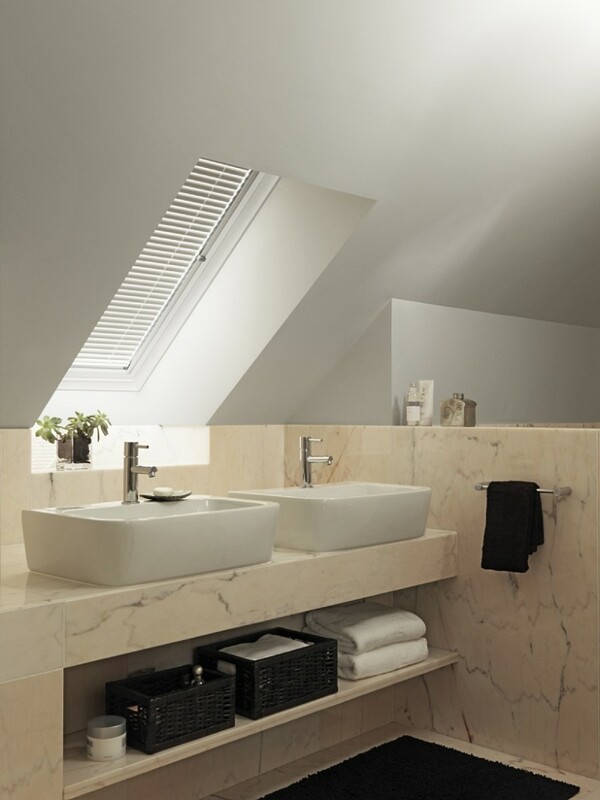 Combine with...VELUX awning blinds for additional heat protection.